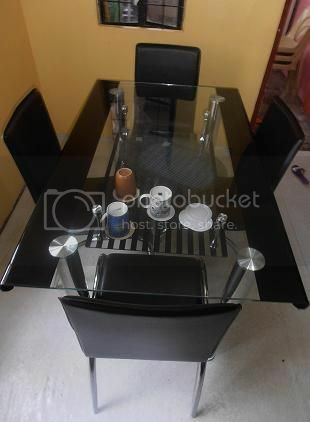 The dining table below is cost 9 thousand pesos, from Sypauljoyce furniture. 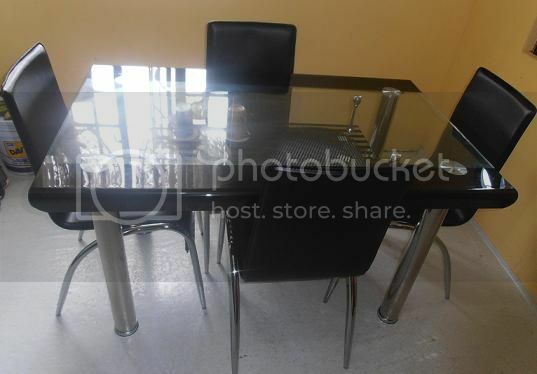 The regular price of this table is 18 thousand pesos and then the store has sale 50pecent discount on all items. Hubby and I bought this table because I like the design and style and off course we like the 50percent discount. Anyway, the dining table is four sitters only. The stands of this table and chairs are made from stainless and the chair is made of leather fabric.